House Intel Chair “Unmasks” Government Surveillance on Trump Campaign! 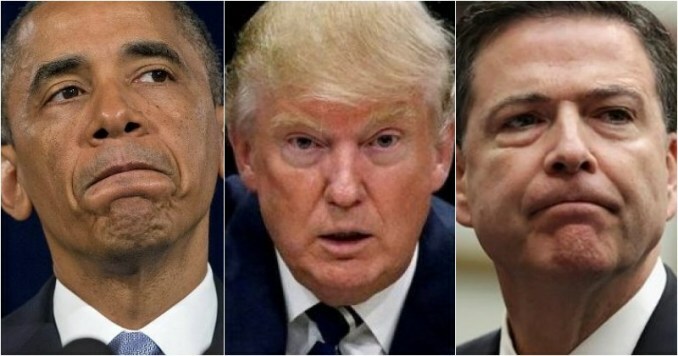 In a division from the rank and file deep-state heads of intelligence spread throughout President Trump’s administration, the head of the House Intelligence Committee revealed that he had learned that President Trump’s transition team was put under surveillance by the Barack Obama administration!! Representative Devin Nunes’s bold and brave revelations vindicate President Trump’s claims over a week ago that he had been placed under surveillance by President Obama. Those claims, which are being widely disputed by liberal media outlets and members of the Democratic party, are now reinforced by direct evidence provided by the House Intelligence Chair himself! “I have seen intelligence reports that clearly show that the president-elect and his team were, I guess, at least monitored,” the California Republican told reporters. “It looks to me like it was all legally collected, but it was essentially a lot of information on the president-elect and his transition team and what they were doing.” He said the information he had seen was not related to the FBI’s Russia investigation. Watch Representative Nunes’s shocking revelations for yourself here! The Truth about Radical Islam from a MuslimJust Repeal It!